Singita Sasakwa, Grumeti Reserves, Tanzania. Glamping doesn’t even begin to describe this. We’re talking luxury with a capital L. Out of Africa and out-of-this-world. 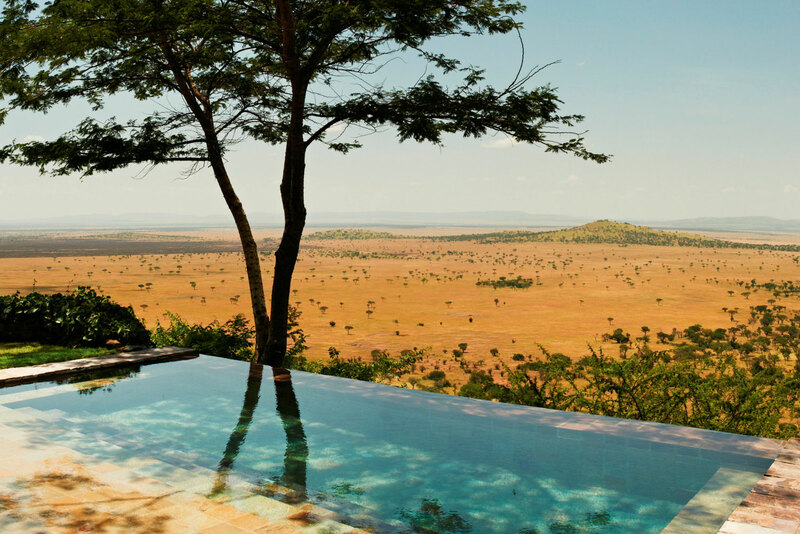 Sasakwa Lodge is situated on more than 350,000 acres of wilderness in northern Tanzania. The main lodge – an Edwardian manor house – is all burnished, upper-crust colonialism with French-polished furniture, chandeliers, club seating and broad verandahs with views of the veldt. Four-poster beds, swathes of netting, freestanding tubs and oodles of style define the guest lodges. Knowledgeable guides in luxury vehicles whisk you out on safari (the Big 5 are regularly sighted). And going this far upmarket ensures you can experience the most of the Serengeti, unencumbered by the hoi polloi. Dine by candlelight to the lingering sounds of the Serengeti at night. Divine. Did you know Sasakwa Lodge is on the Great Migration path in the Serengeti, traversed annually by more than a million wildebeest.